Good: A longtime staple in the Panini family of products, Certified gets a makeover for 2011. Both a visual makeover and a creative one make Totally Certified a viable contender for the basketball product of the season. 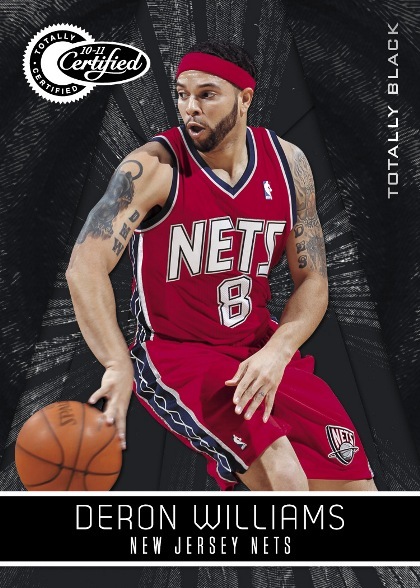 It includes hard-signed, event-worn rookie cards with generously large swatches, a variety of Fabric of the Game inserts and it introduces Panini's first video trading cards – HRX. 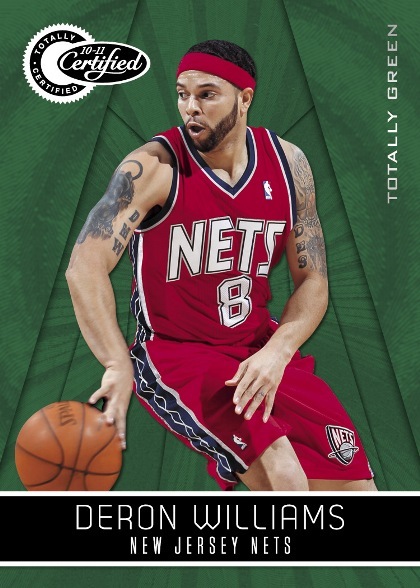 Lastly, every card in the set is sequentially numbered. Bad: The rookie materials cards contain event-worn gear. While the gear and auto is guaranteed authentic by Panini, it would be even better if they told you where the gear came from. Was it a photo shoot, a private event, a meeting in the locker room? A little accountability goes a long way. They are listening to collectors and have improved designs and made the attempt to get more signatures on card; this would be another step in the right direction. The Bottom Line: From the outer packaging to every last card inside, this subset is impressive-looking. When all of the key elements for a successful product are present, it is easy to accept and enjoy it. 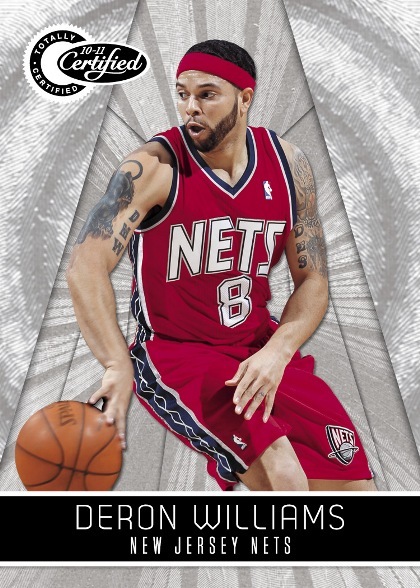 Collectors can build a set, and find on-card rookie autos, gear and signatures from some of the most notable NBA names. Stand-out names to look for are Karl Malone, Kevin McHale, Scottie Pippen, Hakeem Olajuwon, John Stockton and Joe Dumars. Plus, you get a chance to be a part of trading card history with a brand-new technology trading card – HRX. These unique video cards include footage of the featured player and are unlike anything else you've seen from the hobby to date. The cards are not packed into the product, but they are quickly available as redemption cards to prevent pack searchers from taking the fun out finding them. You know the saying that “everything old is new again?" That's the situation with Totally Certified. The base cards sport a look that separates them from previous Certified releases, yet at the same time they are very similar to some of the Metal dufex designs of the late 90s and early 2000s. The rookie auto/memorabilia cards are among possible the best that Panini has released this year. They feature a large photo, and a giant swatch of gear behind a cutout with the letters R-O-O-K-I-E and they look outstanding. Best of all, there is a clean area for an on-card auto. The checklist boasts 150 of today's NBA superstars. Everyone you'd expect to grace the list is present, including Kobe, LeBron, Dirk, Derrick Rose and Dwight Howard. 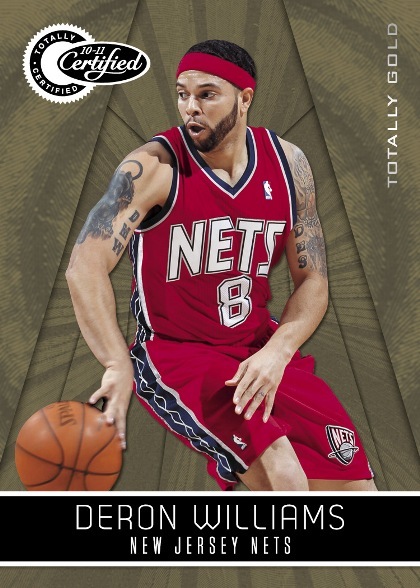 35 of the 2010 draft class are also included, and all of the rookie cards are autographed. Look for standouts John Wall, Evan Turner, Landry Fields, DeMarcus Cousins and more. The other big draw is the introduction to HRX cards. While there are only 4 players available -- Kobe Bryant, Kevin Durant, Blake Griffin and John Wall -- there are basic, autographed and signed 1-of-1 versions of these technological wonders. At slightly under $100 you are slated to find an autograph or memorabilia card in every one of the six packs per box. They range from autographed rookies to various pieces of memorabilia from NBA greats past and present. You might also strike gold with one of the debut HRX cards, which have fetched absolutely astonishing numbers on the secondary market. 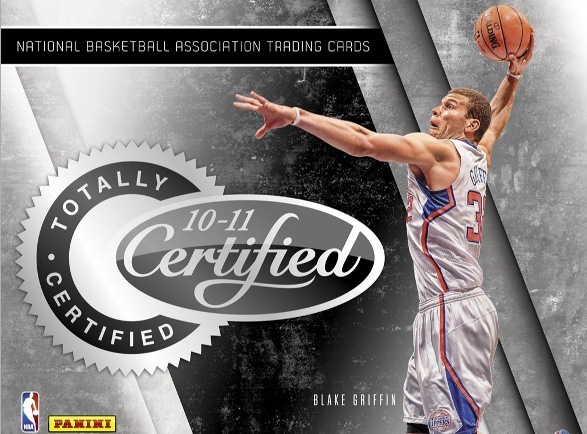 There are multiple opportunities to find value within certified packs. The right rookie, the right veteran or retired great can make or break a box. There is always a rush when opening a trading card product. The rush is even bigger when it's a fresh take on an established brand. The new look, the new additions and the adrenaline rush you get peeling back the wrapper to peek at the guaranteed hit inside packs a lot of excitement. 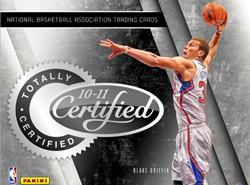 Panini's re-tooled and re-invented rendition of Certified, 2010-11 Totally Certified Basketball, is the first installment in the brand's history not to carry the Leaf name (which has since been trademarked by the former owner of Razor Entertainment). Totally Certified features many of the same aspects that made it's predecessor popular with collectors including buildable parallel sets and collectible autographs. However, the most intriguing aspect of the product isn't found in the past, it's found in the futuristic Panini HRX video cards that will be seeded in the product - 204 in all. 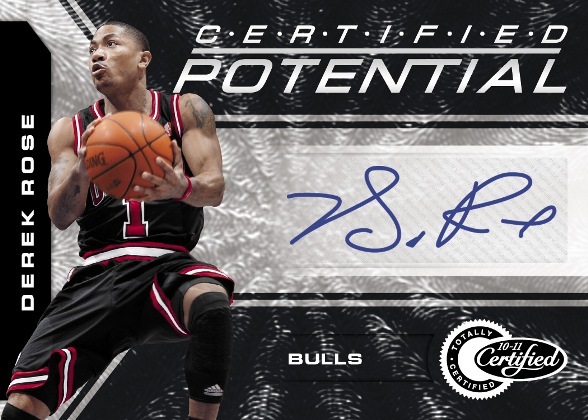 Totally Certified will mark the debut of the highly anticipated Panini HRX video cards. 204 total Panini HRX video cards will be seeded in the product featuring Panini spokesman Blake Griffin, Kobe Bryant, John Wall and Kevin Durant (51 each). Panini HRX will come in the following varieties: 40 regular HD video cards, 10 autographed HD video cards and 1 Gold Autographed version made out of 14-karat gold. Each case will deliver one of the following: A - an autograph from Bryant, Wall, Griffin or Durant, B - a 1/1 card, or C - an autograph numbered to 5 or less.